Both normal wear and tear and overuse can lead to impingement, when a tendon rubs against bone. This damages and irritates the tendon, which causes bleeding and inflammation. Over time, damage to the tendon may build up, so the tendon is more easily injured. What are the symptoms for rotator cuff disorder? Your shoulder and arm aren’t particularly weak but it hurts to use them. Weakness in your shoulder, although some people don’t notice any weakness if the tear is small. If symptoms don’t improve after a few months of nonsurgical treatment, you and your doctor may consider testing (such as X-rays or an MRI) to find out if you have a rotator cuff tear. 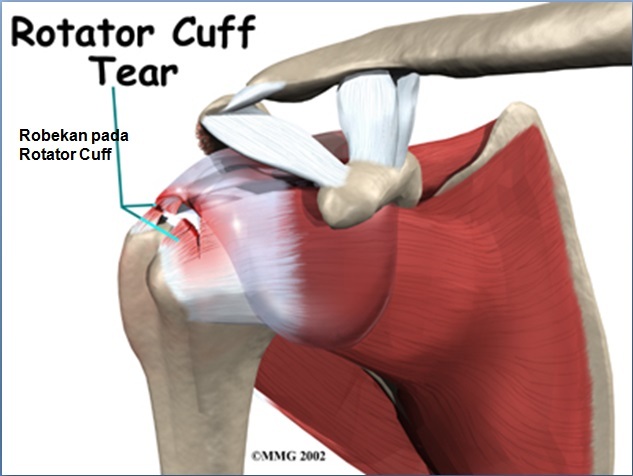 Surgery often is used to repair a torn rotator cuff. Nowadays, surgery is done arthroscopically using keyhole. Your shoulder doesn’t get better after 3 to 6 months of other treatment. Call (+65) 6471 2674 (24 hour) to fix an appointment with our specialist to treat your rotator cuff today.